by Jane Austen | History | This book has not been rated. 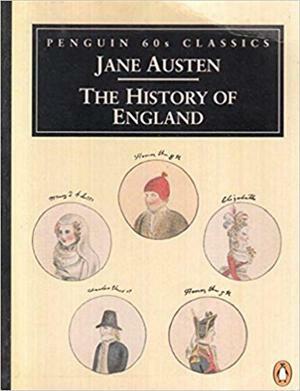 "The History of England" is a 1791 novel by English author Jane Austen. Written when she was just fifteen years old (it includes her original spelling quirks), it is a humorous burlesque on the popular history books contemporarily used in school. Within it, Austen comically mimics the style of writing characteristic of these books, mocking the dubious objectivity of the historians in question. I have been a Jane Austen fan since I first read Pride and Prejudice over 20 years ago. That's why I picked this book up. It's pretty obvious that this os something she wrote in her teens. It's fun, and I did enjoy it, but it's far from as good as her novels. A Jane Austen I haven't read yet, is always a treat.